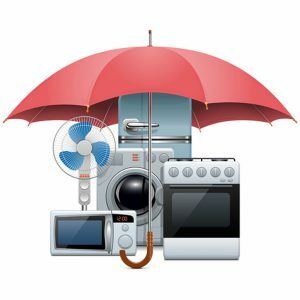 How to Make Kitchen Appliances Last Longer? White goods – you can’t live without them, but you do have more interesting ways to spend your money. Learn how to make kitchen appliances last longer, to free up cash from your household budget to use for more exciting things. Get your new machine correctly installed – To ensure they’re safe to use, and will work the way they’re supposed to. Keep appliances clean – Dirty appliances never work as well as clean ones. And while you’re cleaning you’re more likely to spot minor damage at an early stage. Use in accordance with the instructions – Incorrect usage will put more strain on motors, elements and other components. Get white goods serviced as recommended by the manufacturers guidelines – Apart from anything else, if you ignore the servicing schedule you could invalidate your guarantee. Address faults as soon as you become away of them – Ignoring minor faults can lead to knock on effects, a problem in one component causing failure in another part that’s more expensive to fix. Making sure the washing machine is level – So it doesn’t bounce in the spin cycle Clean filters regularly – Blocked filters will stop the machine from draining properly and puts strain on the pump Don’t allow mineral deposits to build up – If you live in a hard water area using an anti-limescale product could add years to the life of your washing machine. Learn how to load the machine properly – Correct loading will reduce strain on the motor and ensure that sharp knives won’t damage racks or seals Use water at the recommended temperature – Water that’s hotter than it needs to be can cause damage to components over time . Don’t allow lime to build up – Lime will coat heating elements making them less efficient and more susceptible to burn out. Run regular cleaning cycles – At least once a month, more often if you use your dishwasher regularly. Glass ceramic electric cook tops – Should be wiped down after every use to prevent food deposits building up, and cleaned with a non-abrasive pad once a week even if the top doesn’t look dirty. Gas cook tops – Wipe down after every use, grates and burner tops should be cleaned with soapy water and a non-abrasive scrubbing pad. Non self-clean ovens – Use an oven cleaning preparation and do if often! Grease and carbon build up will reduce the efficiency of the oven and can lead to thermostat problems. Dirty ovens are also a potential fire-hazard. Self-cleaning ovens – Use the feature before the oven gets too dirty and you can take advantage of lighter cycles which put less strain on the oven components.